An SR-22 is a document or form required as proof of financial responsibility by the court or under state law for persons convicted of certain traffic violations. For many states it is needed to reinstate a driver's license, especially if the suspension was for driving without insurance. The SR-22 form must be filed by your car insurance company and states that liability insurance is in effect for a particular individual. This form is normally required when insurance is provided to a driver who was in an accident or was convicted of a traffic offense and was unable to show financial responsibility. Again, each state has different variations of this form and requirements. The SR-22A is similar to an SR-22 but only used in Georgia, Texas and Missouri. In Georgia and Texas the SR-22A is a type of certificate normally used for repeat violators of financial responsibility laws. These two states require that policies with a SR-22A attached to it must be paid in full for a six-month term. Missouri calls the SR-22 a certification of liability insurance and the SR-22A a certificate of liability insurance. In Georgia, the SR-22A is a term used for a responsibility insurance certificate. This is similar to a SR-22, except it has further restrictions or is needed under specific circumstance. This financial responsibility filing can be required of a motorist in Georgia if the individual has been convicted of operating a vehicle without liability insurance or other certain traffic infractions. 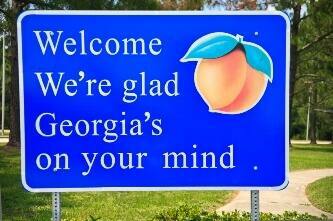 In Georgia, it's usually required for an unsatisfied judgment. For example, if you are trying to reinstate your Georgia license after a suspension due to a second or subsequent conviction of no proof of insurance (unsatisfied judgment) an SR-22A must be filed and maintained for three years from the date of the conviction. An insurance company must certify that you have in effect a valid liability insurance policy covering the required time span; said certification should be filed on the SR-22A form. Both the SR-22 and SR-22A are discussed under Texas Administrative Code Title 37, Part 1, Chapter 25, Rule 25.6. Subsection e of this law states that if the SR-22 (insurance certificate) is required as the result of a security deposit in an accident or default case, it must be accompanied by form SR-22A (certification of a six-month prepaid liability policy). It will depend upon the actual car insurance coverages you have associated with the car insurance policy your SR-22A filing is connected to whether your car would be covered in an accident or if you only have liability coverages. The SR-22A is a form, not full coverage. The SR-22A is similar to a SR-22 certificate of financial responsibility. The SR-22A normally has more restrictions to it than a SR-22 does. What types of insurance coverage falls under an SR-22A filing? If you purchase only the state minimum requirements to go with your SR-22A, you are only covered for the damage you cause to the other car in an accident and for bodily injuries for those you harm. To cover your own vehicle when it is in an accident you would need collision coverage as part of your auto insurance policy. 1 Responses to "What is an SR-22A?" Thanks for the great information on the confusing SR-22 forms. My husband and I were confused about why it is required and how to file the paperwork. I'll make sure we contact the right insurance representatives so we can take care the form.